Car recalls have been a popular topic in recent years. Between air bag recalls, defects causing engine fires and safety belt failures, it seems like every few weeks we hear of another recall affecting the vehicles we drive. 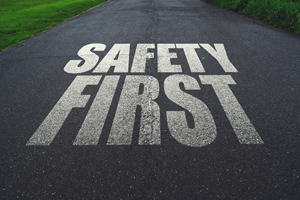 Despite these recalls, it is important to note that cars are safer than ever before, especially with the integration of new technology into the auto industry such as rear-view cameras, collision warnings and automatic emergency braking. However, that does not mean you can ignore it if or when your car’s make and model has been recalled. Sadly, this is what many drivers do when they receive a notice that their car has been recalled. According to the National Highway Traffic Safety Association, as many as 25 percent of problems covered by car recalls between 2006 and 2010 were never repaired. Why is that a problem, and how can you prevent being a part of that statistic? First, it is a problem because auto manufacturers do not issue recalls lightly. Besides the cost to correct the problem and costly litigation, car recalls can cost the manufacturer brand loyalty through bad public relations. If an auto company has recalled a certain model, part or vehicle, you can be confident that it is because of a serious safety concern. Just because you have not noticed an issue with your vehicle, does not mean that you won’t eventually. If your own safety isn’t motivation enough to schedule the repairs, consider what it could mean if you become involved in an accident with another vehicle. Even though the defect may have been a result of the car company’s negligence, if you were blatantly made aware of the recall and did not take any action to have the defect repaired, you, as the driver, may still be liable for any damages, injuries or deaths that could occur in a collision. With so many recent car recalls, it may be hard to keep up with them all. If you bought your vehicle used, you may have just assumed that any recalled parts have been replaced or repaired. However, whether you purchased your vehicle new or used, you should check to make sure that it has not been listed in a recall, and if it has, that the repair work has been done. There are various websites that allow you to check for this information. Your first visit should be to the National Highway Traffic Safety Association’s website, where you can look up your vehicle by VIN to see if it was included in any car recalls. If you do not have your VIN readily available, you can check by year, make and model on Consumer Reports’ website. To receive alerts for future recalls, you can sign up for free notifications through CARFAX for up to 5 vehicles. My Car Has Been Recalled. What Now? If you receive a notice that your car has been recalled, or if you have used the above tools to discover that your vehicle has an open recall, schedule an appointment with a franchised dealership to have the part repaired or replaced. Most recalls are covered by the manufacturer and will not cost anything out of pocket.